Have you noticed a change in your teen's behavior? Do they seem more depressed or irritable than usual? Are you unsure what therapy can do for you or if you can relate to the therapist? Are you afraid the therapist will tell your parents everything you say or that others may think you're crazy for being in therapy? Of all clients, perhaps teenagers are the most protective of their vulnerable sense of dignity, and are particularly unforgiving of adults who seem to talk down to them, attempt to get some advantage over them, or assume a verbal one-up stance. Teens are often brought into therapy against their will making them resentful of the process before it even begins. At DCTC, we have therapists who specialize in treating teens who want therapy as well as those who are brought in against their will. Our therapists never talk down to the teen and we treat them with respect just as if they were an adult client. Teenagers think and express themselves somewhat differently than adults so different techniques may be required, but the trust and positive relationship will always be built first and the teen will be in control of how fast or slow they go in therapy. When teens are going through a rough time, such as family troubles or problems in school, they might feel more supported if they talk to a therapist. They may be feeling sad, angry, or overwhelmed by what's been happening — and need help sorting out their feelings, finding solutions to their problems, or just feeling better. That's when therapy can help. When does your teen need therapy? It’s hard enough knowing when you, as the parent, need to see a therapist and navigating the entire process from picking a professional to making the most of your time once you do. But doing this for your teen can seem outright overwhelming. The time to take your teen to a therapist is when there is a noticeable change in either their affect, behavior, or both especially if these changes are sudden. Teens who need help will display signs of depression such as sadness, frequent crying, loss of interest in activities, changes in eating or sleeping habits, lack of enthusiasm or motivation, lack of energy, difficulty concentrating, irritability, hostility and/or angry outbursts. They may also withdraw from friends and family, especially during a tough time, and shut down in discussions, refusing to discuss whatever it is that's bothering them. Another indicator that a teen may need therapy is a drop in grades or school performance. If they are struggling with depression, anxiety or grief for example, this can often impact their school performance just as it can impact an adults work performance. Many adults seek out therapists in terms of years of experience in the field, a degree from a specific school or matching gender with their teen. There is a more significant factor to consider: specialization. Parents should seek a therapist who has considerable experience working with teens, because this age group tends to have very specific interests and issues. Teens can get impatient if they have to see several therapists before finding the right fit, so it is best to find someone who specializes in working with teens. Some of the therapists at DCTC do not work with teenagers because they do not have the training while others specialize in teen issues. 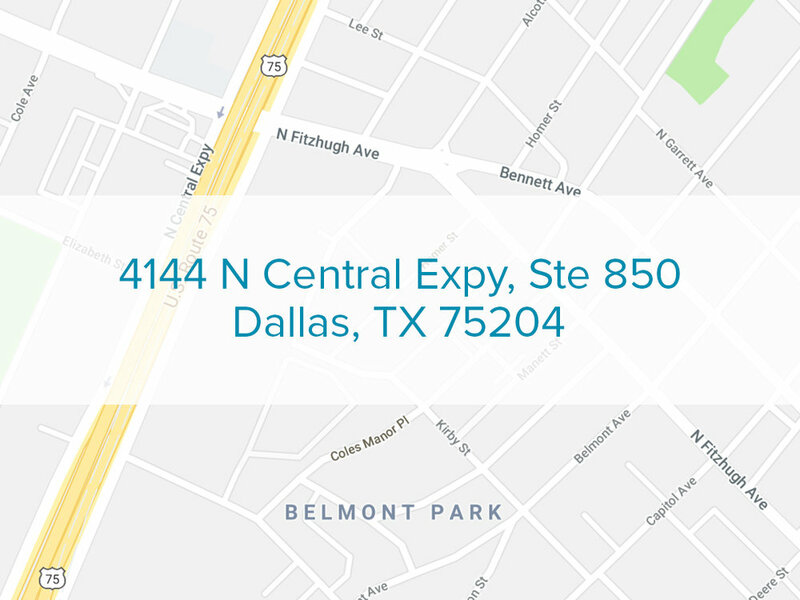 At DCTC, we have therapists at all three of our locations: Uptown Dallas, Rockwall, Plano, and Denton, Texas that are experienced in working with the unique needs of teens and children. How do you bring up therapy with your teen? Gently and carefully. Avoid approaching your child with accusations, lectures and angry or disappointed reactions. This leaves them feeling ashamed and less likely to engage with the idea of therapy. Instead, express your concern about them in an open and loving way. Let your child know you want them to be happier, more productive and less sad or anxious and that you are willing to do anything you can to help them because you care. But what if your teen still refuses? Ask your teen to attend three therapy sessions, because most teens are engaged in the process within that period of time. Therapists who work with teens realize that they often resist therapy, therefore the relationship building is incredibly important in the beginning. You may also acknowledge that the whole situation is very anxiety-provoking for your child. If it is worth it to you as the parent, you may consider encouraging the participation with a fair reward that you know will work for your child just to get them through that first session. Parent involvement is key to teen therapy. The therapist can help the teen change a great deal of the way they think and behave, but teens are inherently helpless in many ways and this is where the parent comes in. Most of the parent's work is done outside of the therapist's office. The parent may be invited into sessions from time to time or even for a portion of each session depending on the client's age and presenting issue. At that time, the therapist will help the parent identify how they can assist in the therapy process. Understandably, most parents want to know exactly what goes on in therapy sessions and want progress reports pronto. However, it is important to allow your teen to have some confidentiality. Your teen will probably reveal information to their therapist they won't disclose to you. If you invade your teen's privacy, the therapist may lose trust with the teen. This results in wasted time, energy money and slows down the path to change. Of course, parents shouldn't remain totally in the dark. It is best to discuss with the therapist how much will be revealed, and then sticking to the agreement. As a teen, you may have questions about therapy or think it can't help you. WHAT CAN I, AS A TEEN, EXPECT FROM THERAPY? When you see a therapist, they will talk with you about your feelings, thoughts, relationships, and important values. At the beginning, therapy sessions are focused on discussing what you'd like to work on and setting goals. Some of the goals people in therapy may set include things like improving self-esteem and confidence, figuring out how to make more friends, feeling less depressed or less anxious, improving grades at school, learning to manage anger and frustration, making healthier choices (for example, about relationships or eating) and ending self-defeating or self-harming behaviors. It might take a few sessions with a therapist before you will feel like you can share personal stuff. It is natural to feel that way. Trust is a very important part of therapy as it involves being open and honest about sensitive topics like feelings, ideas, relationships, problems, disappointments and hopes. Our therapists understand that teens sometimes take a while to feel comfortable sharing personal details like this and we will be patient with you. DOES GOING TO THERAPY MEAN I'M CRAZY? WILL MY FRIENDS FIND OUT? No, going to therapy doesn't mean you're crazy! You'd probably be surprised to find that many people in your class have probably seen a therapist at some point. Getting help in dealing with emotions and stressful situations is as important to your overall health as getting help with a medical problem like asthma or diabetes. Some people find that discussing their progress in therapy with friends is helpful while others prefer not to tell anyone. Either way, it is a personal decision and you don't have to tell anyone if you don't want to. There's nothing wrong with getting help with problems that are hard to solve alone. In fact, it's just the opposite. It takes a lot of courage and maturity to look for solutions to problems instead of ignoring or hiding them and allowing them to become worse. If you think that therapy could help you with a problem, ask an adult you trust — like a parent, teacher, school counselor, or doctor — to help you find a therapist. Therapy is helpful to people of all ages and with problems that range from mild to much more serious. Some people still hold on to old beliefs about therapy, such as thinking that teens "will grow out of" their problems. If the adults in your family don't seem open to talking about therapy, mention your concerns to a school counselor, coach, or doctor. Medication for anxiety, depression and other disorders are considered and recommended on a case by case basis. Medication is not for everyone but it can be helpful for those who need some immediate relief while we work on a long term solution in therapy. If you aren't comfortable taking medication, therapy can still be incredibly effective.